Beauty and luxury tend to go hand-in-hand, so it’s no surprise that SKII decided to expand its largest and 5th boutique spa in the heart of Seoul, Korea. They operate on exclusive memberships and reservations only, catering to some of the best-known celebrities worldwide. 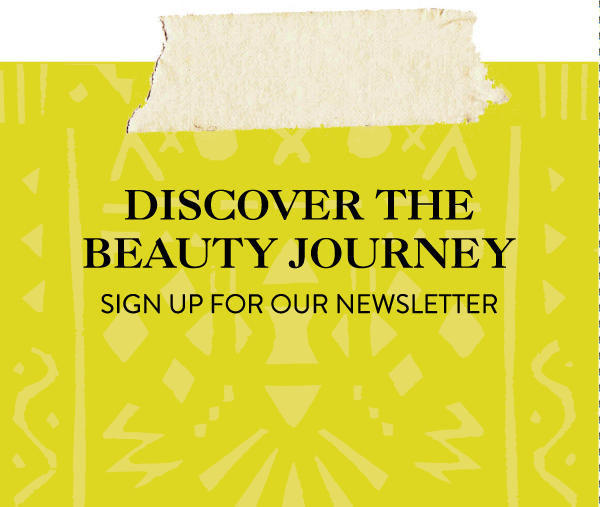 Ranked the #1 Korean Spa on TripAdvisor and also Asia’s top beauty weapon for age defining products and ingredients, the Japanese beauty brand (which officially launched in 1980) is now the pioneer in eastern and western beauty with a dedication to skin first. The SKII philosophy is that the fermentation of yeast known as Pitera, which is full of vitamins, amino acids, minerals, and organic acids. They work together to allow the skin’s natural surface rejuvenation process to function at its prime by the use of their ingredients. 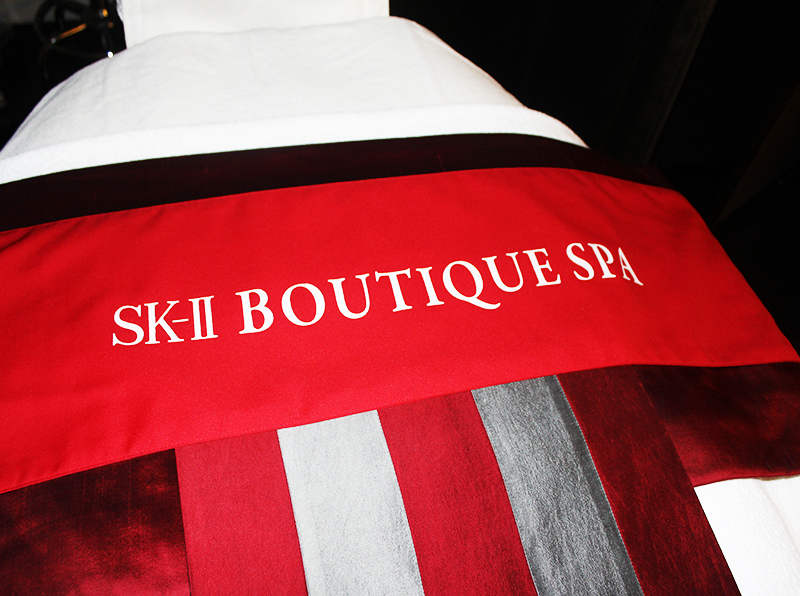 SK-II Boutique Spa utilizes an exclusive SK-II line of cosmetics to offer massage and treatment services tailored to fit individual skin conditions and needs. Part of SKII popularity is due to their spokespeople, which include Ayasa Haruka and Momoi Kaori, who are idolized throughout Asia. The spa itself is luxurious and made to make you feel like royalty. 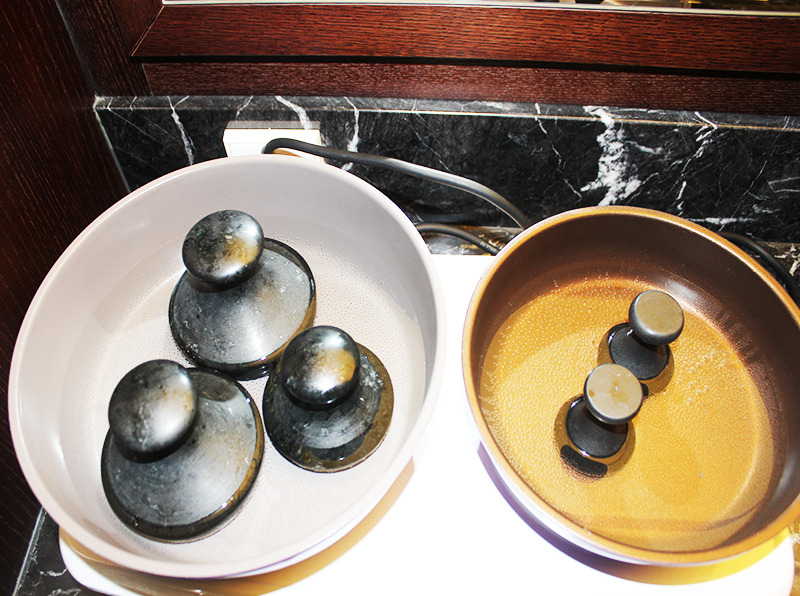 I decided to have the Jade StoneTherapy, that lasts 75 minutes and includes a facial treatment, and body stretching (a popular beauty practice in Asia). The jade gemstone is believed to possess healing properties, such as relaxing the nerves and muscles, enhancing metabolism, soothing pain, and boosting the immune system. It also aides in the removal of toxin and fights oxidation. Jade stone therapy has been practiced in ancient cultures for years and I loved how real jade gemstones were actually used in this treatment. It made the experience even more relaxing than I had anticipated. From the moment I walked into the heritage room, I felt an instant sense of relaxation take over my body. It was me time, time for me to let go, and get pampered. I fell asleep during my service, and I can now understand why so many men and women have become booming members of this elite practice of self-indulgence. It’s truly like heaven and a place to detoxify the mind and spirit. In the end, we were walked over to the reception area and given a delicious piece of cheese cake accompanied with a cup of green tea to re-energize. I’m not exaggerating when I say, it was the best cheesecake I’ve ever had. 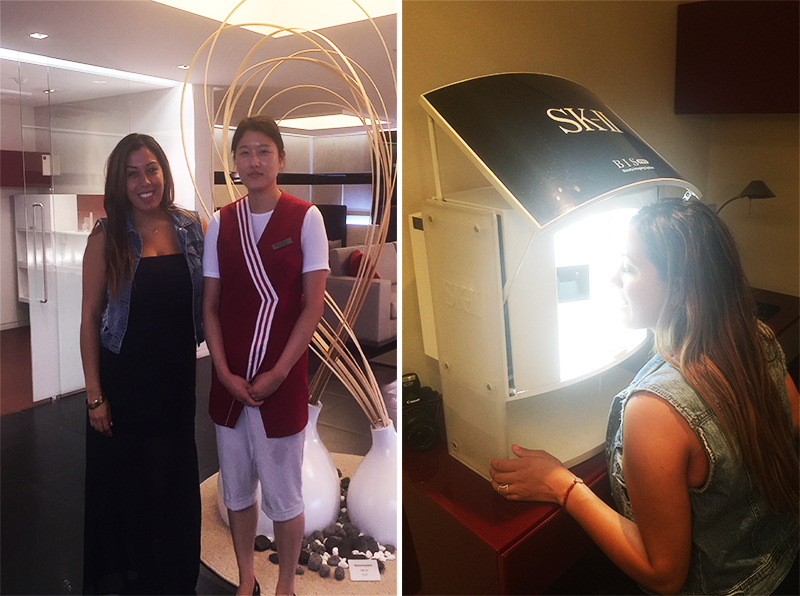 SKII also offers a beauty imaging treatment that instantly measures your skin’s needs. It takes a close-up image of your face and then analyzes it across five dimensions of ageless skin. I’m still in my 20’s, but the sun damage woke me up. Their best seller treatment is the LXP Program that combines a foot bath, LXP massage, scalp treatment ( popular in Korea), and body stretching. It’s a favorite among the foreigners. Not to mention, if you show your passport they give you 10% off. Seriously, how awesome is that? 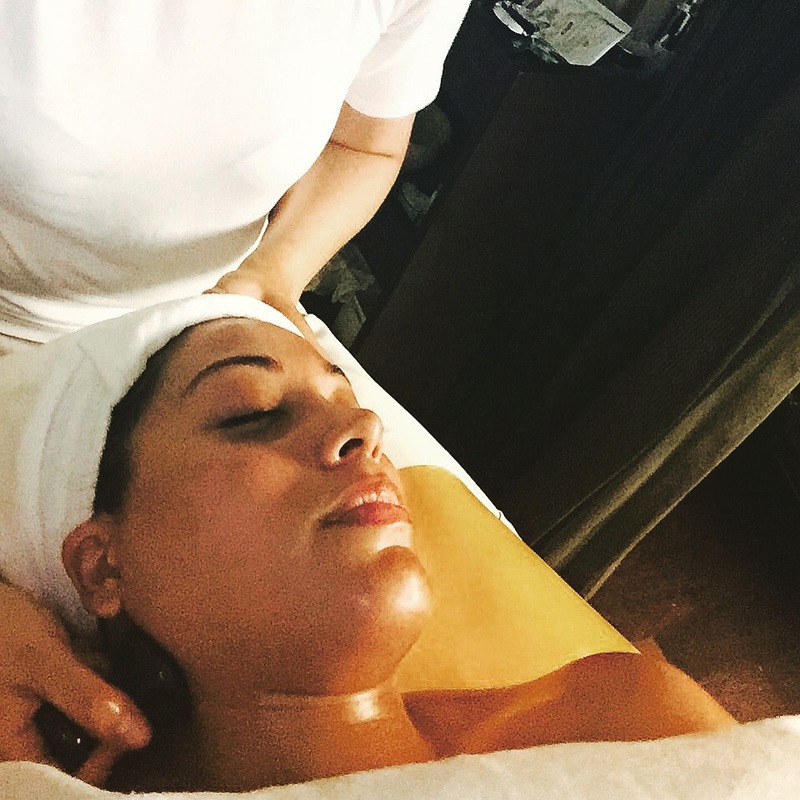 If you’re ever in the area, this beauty destination is worth a visit. Located in the Gangdum Art district, the building alone is a piece of Korean luxury and class. It even has its own valet parking – enough said! 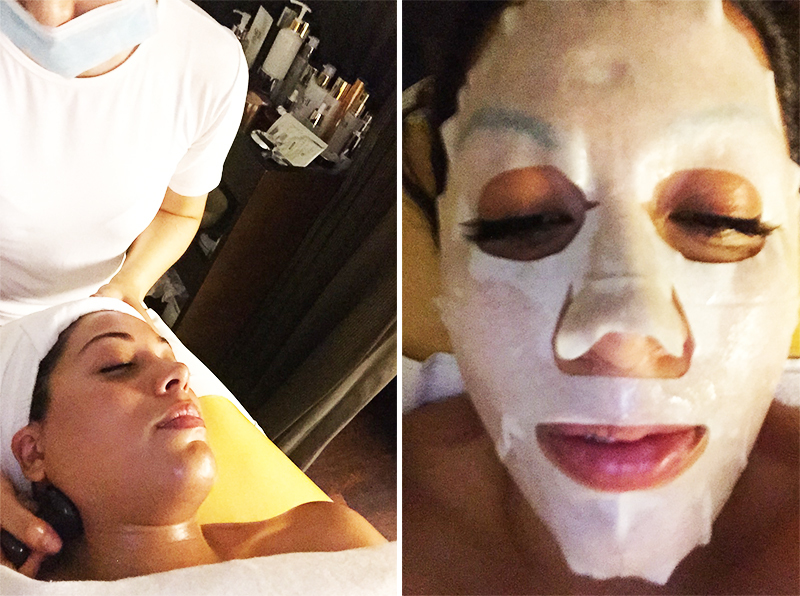 Check out a little video from our Beauty Adventure at SKII.